Seat belt retractor rattle is one of the most frequently encountered vehicle squeak and rattle problems—a major quality issue. Numerous papers have been published concerning problem detection and design improvements for brand new seat belt retractors. In reality, the rattle performance tends to degrade as vehicle mileage gets accumulated, which would hurt long-term customer satisfaction. 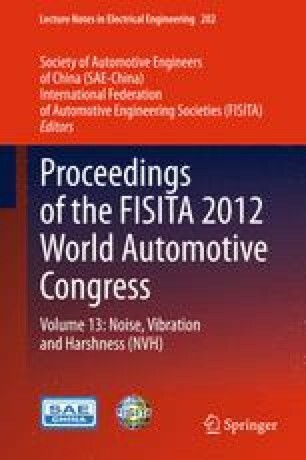 None of previously published papers mentioned the performance degradation and prevention strategies of seat belt retractors. The current paper presents a systematic approach for detection of rattle performance degradation of seat belt retractors and design optimization strategies for preventing degradation. The authors would like to thank CAE Department in the Changan Auto Global R&D Center for their support in body rattle sensitivity CAE analysis.